Disclosure: I have happily partnered with YMC and Bernardin and have received compensation for this post. All opinions on this blog, as always, are my own. When I started canning 3 years ago, I had no clue where to begin and I definitely needed a beginner’s guide to canning. It’s something I never grew up with, but that I really wanted to do. I’m a very visual learner, so I relied on a lot of blog posts and YouTube videos when I started. 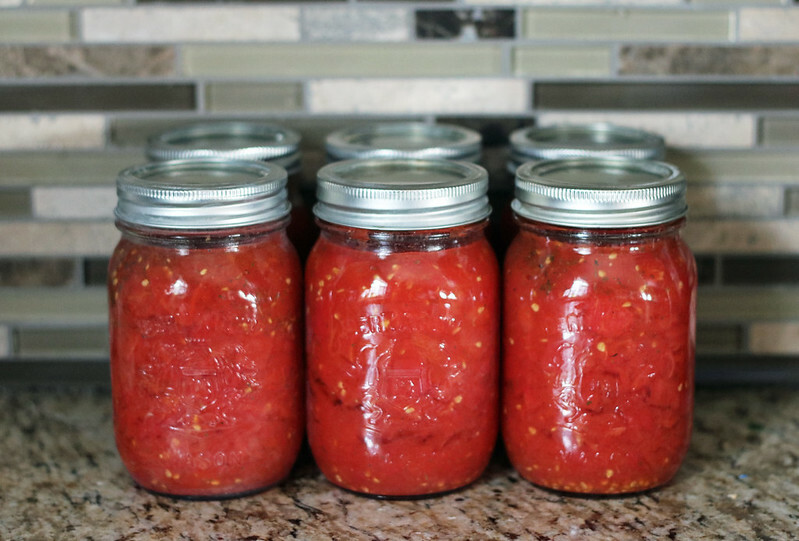 I’m very comfortable canning now, I’ve learned what I like to can, what I don’t like to can, and that I don’t need to can everything (for instance, I love making jam and discovered I do not like making salsa!). I hope this post helps spark an interest in canning if you’ve ever wanted to try it, but didn’t know where to start! It’s essential to have a canning pot, because they are large enough to process a big batch of your canned goods in a water bath at once. You can’t skip the wire rack, as your mason jars can’t rest on the bottom of the pot without one, or they will break. 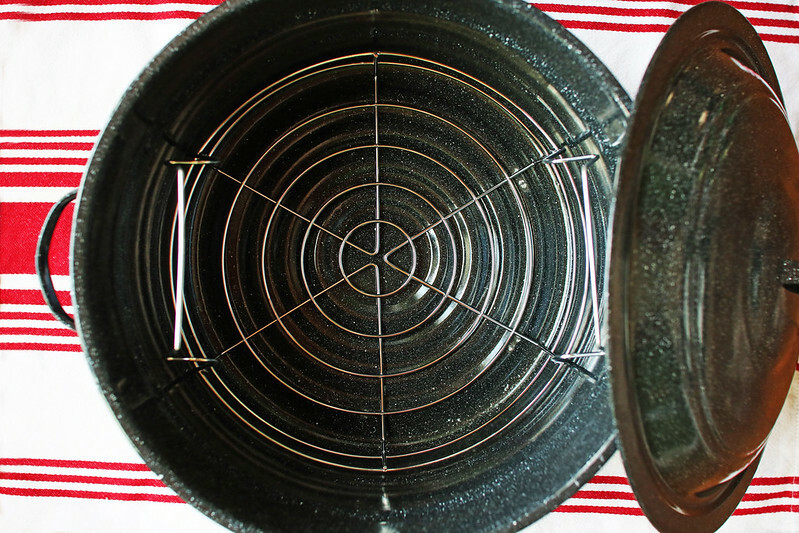 This Bernardin canning pot comes with the wire rack. 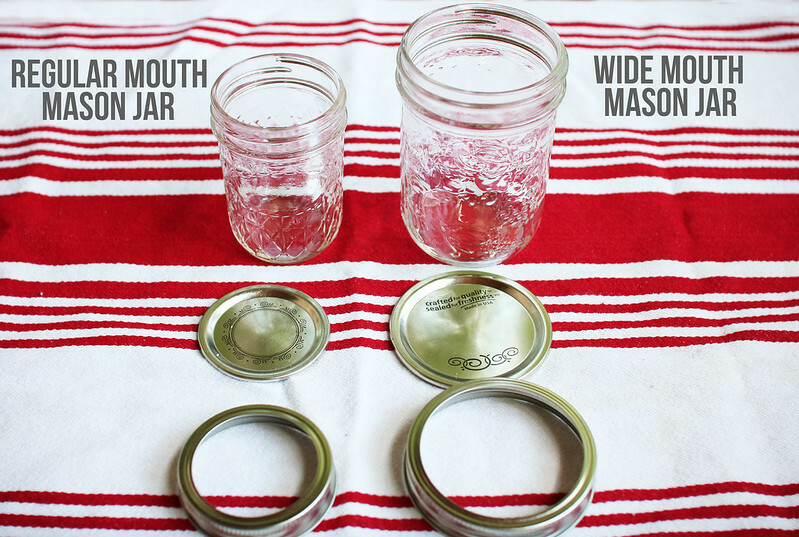 Mason jars were made for canning, not just for decor! They come in a variety of sizes and can also be regular or wide-mouth; wide-mouth meaning they have a larger/wider opening. Each jar will come with a lid and a ring. 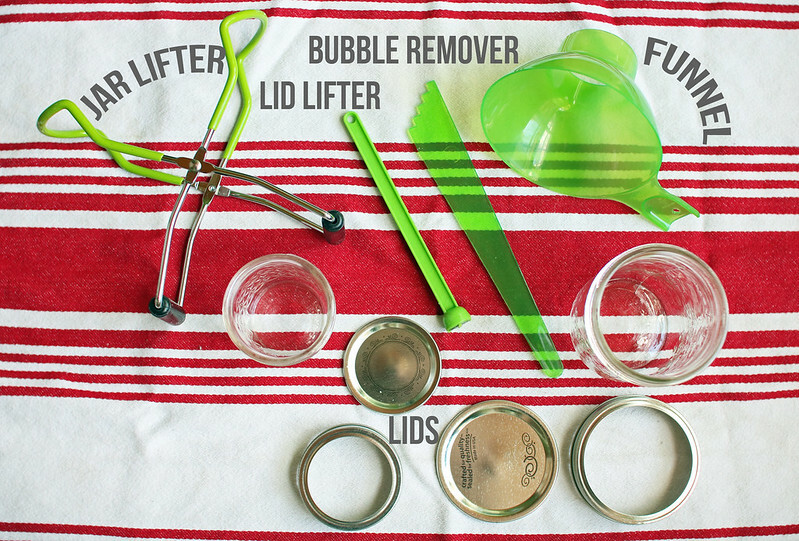 You can definitely reuse your jars and rings, as long as there are no cracks or chips in your jars and no rust or deformities on your rings, but you will always need brand new lids every time, or you won’t get a proper seal. You can buy lid packs, as well as all your other Bernardin canning necessities at Walmart or Canadian Tire. You will need tongs to lift your mason jars out of the water bath before they have been processed, as you need to warm them up before you add whatever goodies you are going to be canning that day. I use my tongs to carefully lift out the empty jars and gently pour out the hot water back into the canning pot. I love my little lid wand! 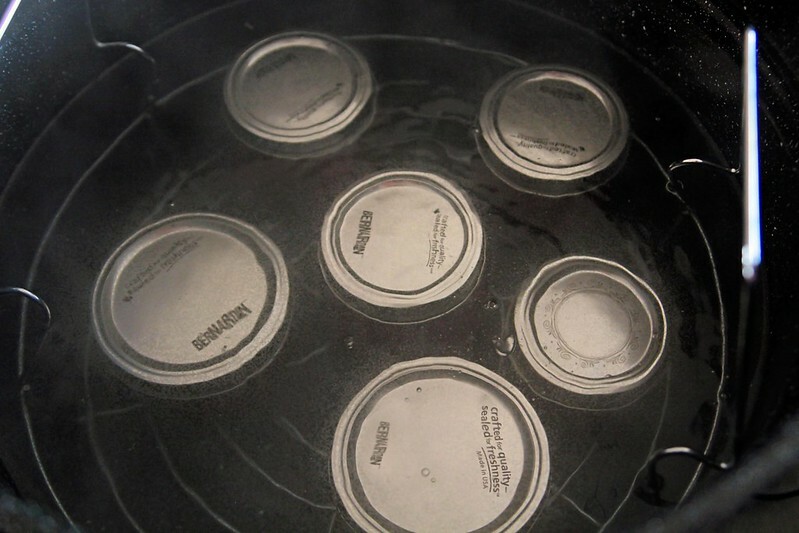 You need to heat up your lids before using them, just like how you need to heat up your jars before using them, and the magnetic lid wand makes it so much easier to grab them out of the hot water easily and place them right on the top of the jar. 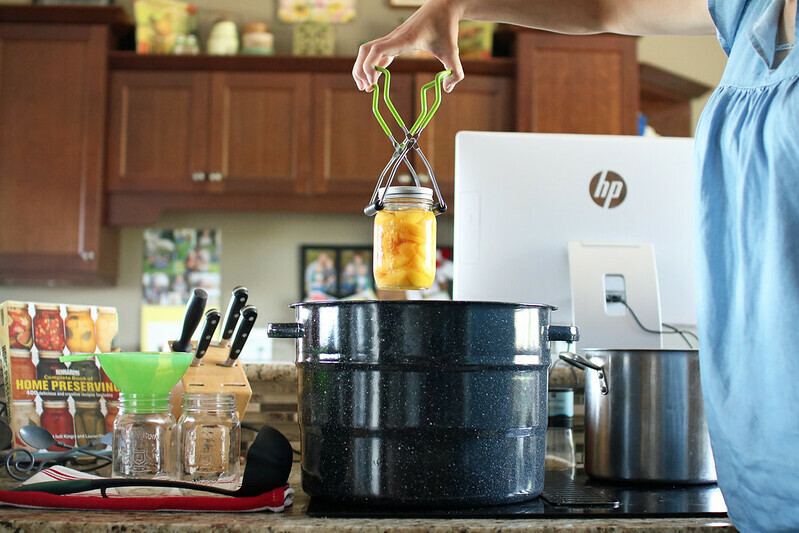 Jar lifters are for when your jars are done processing and lifting them out of the canning jar; don’t skip using this, it makes your canning life a million times easier! There are really nice ladles specifically for canning that have little pour spouts and a hook for resting it on your pot for when you’re pouring your jams, jellies, relishes or other goods into your mason jars before processing, though any ladle will do. Although canning is extremely messy, using a funnel helps with some of the mess and helps to keep the rim of your mason jar clean and dry, which is a crucial step to obtaining a proper seal in canning. I use my ladle and funnel with every thing I can. 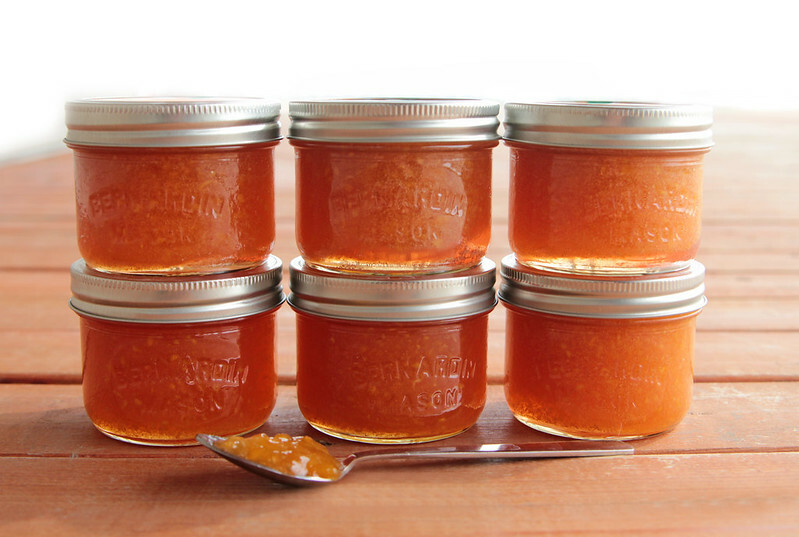 You will also need a non-metallic utensil to remove the air bubbles from your filled jars before you process them. I use the Bernardin bubble remover, and I have also used a chop stick. Other options are a small spatula or plastic knife. After your jars are done processing, you can’t lay them on a cold surface, or you’ll risk breaking them, so they need to be placed on a towel as they cool. I have a lot of kitchen towels, so I just fold them over and place my jars on them so there’s a couple of layers of towel between the jar and my counter top. Another crucial element in obtaining a proper seal is a dry rim on your mason jar, and I like to use paper towels to do this, as I can more easily feel and see when they’re wet and/or dirty and I need a new one. Canned tomatoes 24 hours after processing. One of the most important things about canning is to be organized. It may seem chaotic the first time around, but you will figure out what works for you and you will get into a groove! It takes a good 25 minutes for my canning pot to come to a boil, so I organize my recipe around this time. 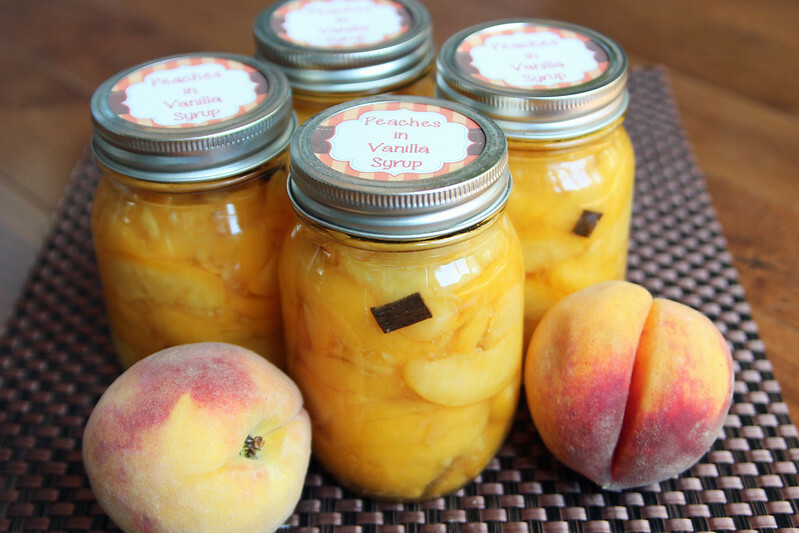 If I am canning peaches, it takes a lot of prep to skin, cut and make my syrup, so I cannot do this all in the 25 minutes it will take for my canning pot to be ready. If I’m making a jam, like my strawberry rhubarb jam, I can easily do this all in the time it takes for my canning pot water to boil. 1. Place brand new, or clean, mason jars in canning pot with wire rack. 3. Prepare whatever recipe you are going to can and remove jars from water bath 1 or 2 at a time onto a folded towel so they remain hot. 4. Place funnel into hot, empty jar and ladle in hot recipe, leaving enough headspace (the space at the top of the jar between the underside of the lid, and the top of the food or liquid in the jar) recommended by recipe, usually ¼” for jams and jellies and ½” for fruit, pickles, relish. Don’t ever fill your jars full to the top, headspace is needed for food expansion and to obtain a seal. 5. Use a non-metallic utensil to carefully remove air bubbles from filled jar by wiggling it around your recipe in the jar. With a jam, jelly or salsa, gently stir around the edge of the jar, with fruit wiggle around as best as you can and watch those air bubbles escape. Adjust your headspace by adding more of your recipe into your jar slowly. 6. Wipe rim of jar with clean, damp paper towel to remove stickiness, wipe again with dry towel. 7. Centre the lid on the jar and screw the ring onto the jar securely and tightly to “fingertip tight”—this means only use the force of your fingertips to tighten on the ring, don’t use the full force of your wrist, just your fingers! 8. Place jar in water bath, continue to fill other jars with same steps above. 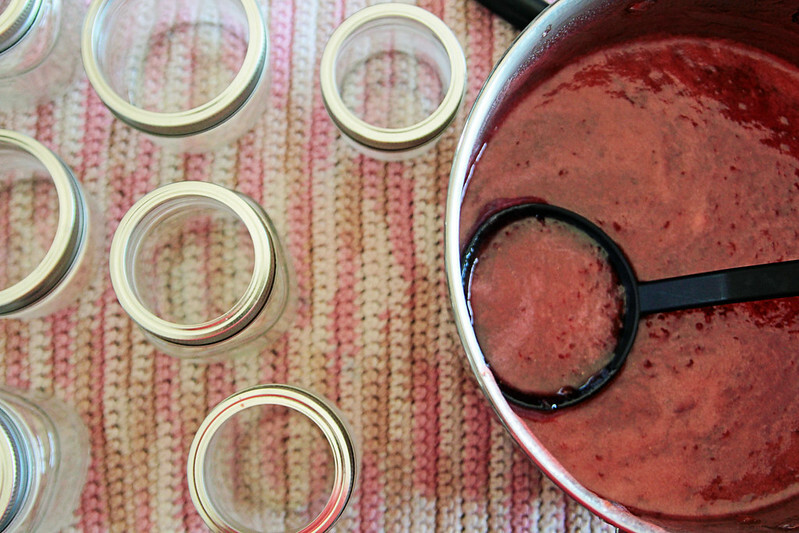 When all jars are in the canner, ensure all jars are covered by at least 1″ of water. 9. 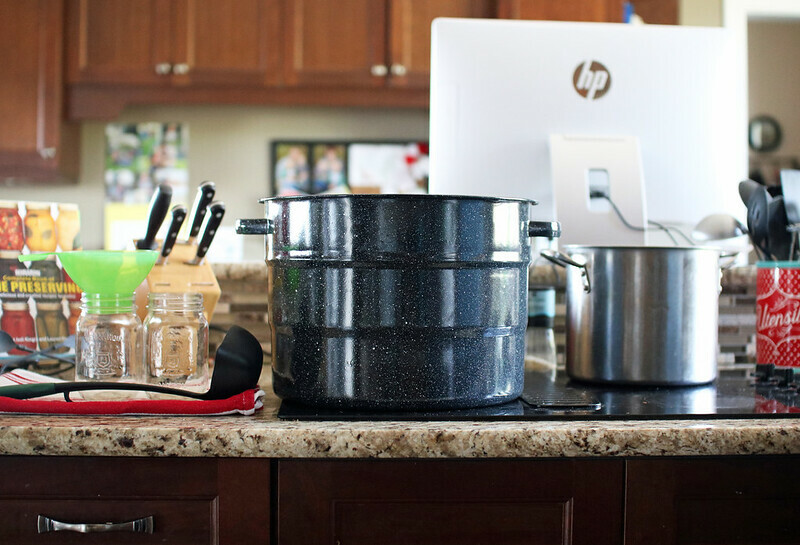 Put lid on canner and bring to a full rolling boil—the water is boiling in a way that it’s rolling and won’t simmer off if the lid is lifted off. This is when you start timing how long it will take to process your jars based on the recipe. 10. When the time has passed, turn off the heat and take off the lid to the canner. Wait 5 minutes, and carefully lift jars out one at a time with jar lifter onto towel on counter top. Leave upright and do not disturb for 24 hours. 11. Within the hour, often less, you should be able to hear the “pop” of the seal forming. Ensure that all of your jars have sealed by pressing down on the centre of the lid. It should not “bounce” back or move at all when pressed—if sealed it will curve down into the jar. Remove your screw bands, they are only needed for processing, or keep them loosely on your jars. You don’t want to create a false seal, in case the actual seal with the lid breaks and your preserves will spoil. Always check your seal before you open your jar to consume. 12. Label and store in a cool place. Without going into another blog post’s length of information, here are some of the big don’ts when it comes to canning. There is a science behind it, and it’s important to remember these points! 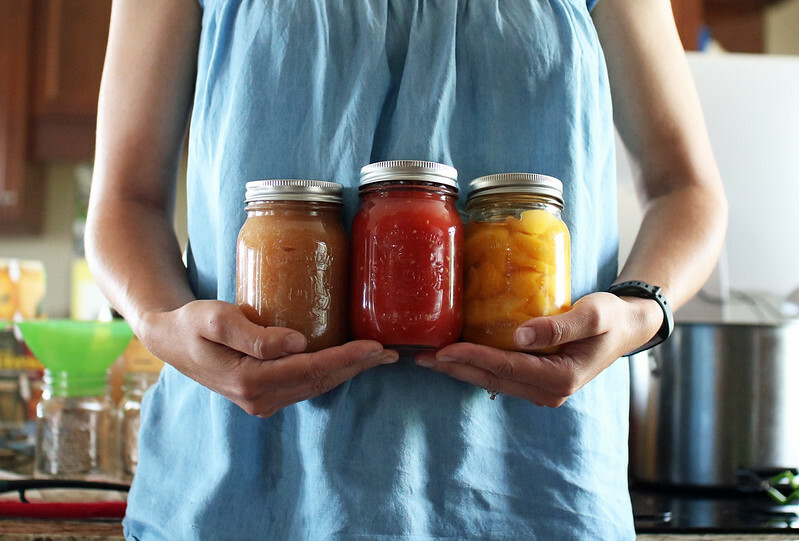 I hope you have learned a thing or two about canning and that you’re excited and ready to start canning this growing season. Beware, it is highly addictive and fun! Be sure to check out Bernardin.ca if you have any other canning questions. « Jonathan is 2 Years Old!